Essential oils are natural aromatic compounds found in the seeds, bark, stems, roots, flowers, and other parts of plants. They can be both beautifully and powerfully fragrant. Have you ever enjoyed the scent of fresh lemon, the beautiful aroma of a rose, or enjoyed the smell of fresh crushed mint? If so, then you have experienced the aromatic qualities of essential oils. 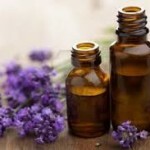 Essential oils have been widely used throughout history in many cultures for their many benefits. Modern scientific study and trends towards more holistic approaches to wellness are driving a revival and new discovery of essential oil health applications. Essential Oils are anti-fungal, antiviral, anti-microbial, anti-parasitic, anti-infectious and antiseptic. They can combat infectious disease by killing off viruses, bacteria or other pathogens. Some oils have been shown to destroy some viruses and bacteria. Fragrant Oils in comparison do not have any therapeutic benefits. Topically – Including massage, neat or in your bath. Some oils are too potent to be used neat. Internally – Only high grade essential oils (such as doTERRA) should be taken internally. Not all oils are suitable for ingestion. Of course, you should always use Essential Oils of exceptional quality which is why I use doTERRA Essential Oils. doTERRA Oils are 100% Certified Pure Therapeutic Grade® essential oils and represent the safest, purest, and most beneficial essential oils currently available. You can purchase all of the doTERRA essential oils and products at retail prices using my link http://mydoterra.com/passionatelifeproject however if you plan on purchasing more than one or two things a year by FAR the smartest option is becoming a wholesale member. Remember there is NO forced auto-ship or minimum monthly buy and you do NOT have to on-sell. These are just wonderful options. That’s it, simply options. Learn more – Order online or become a Wellness Advocate yourself contact me at PassionateLifeProject@gmail.com or to get started immediately JOIN HERE.